The year 2013 looks exciting, with several production houses lining up some great movies for release. In the second part of the special series, we take a look at UTV's slate of releases for the year. After the debacle of Players last year, director duo Abbas-Mustan will belt out yet another suspense thriller -- the sequel to their 2008 hit Race. Saif Ali Khan and Anil Kapoor will reprise their roles in Race 2. The new additions will be John Abraham, Deepika Padukone, Jacqueline Fernandez and Ameesha Patel. The first film ended with Ranvir Singh (Saif Ali Khan) killing his brother Rajiv (Akshaye Khanna) with the help of RD (Anil Kapoor). With the entry of new faces, it will be interesting to see how the story progresses. 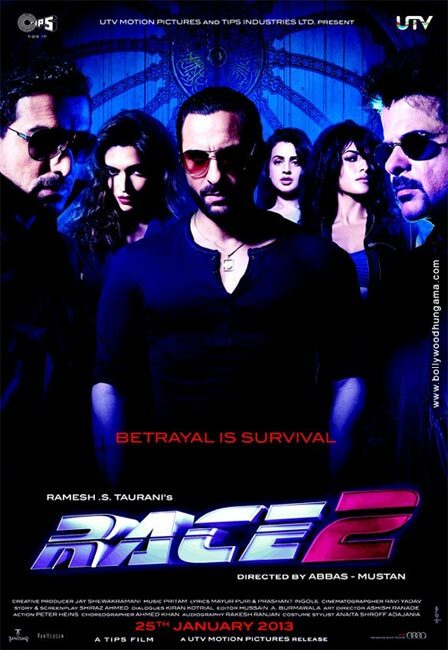 Race 2 boasts of some high adrenaline action sequences and peppy songs. It is slated to release on January 25. Choreographer-turned-director Remo D'Souza has come out with the first Hindi 3D dance film, ABCD: Any Body Can Dance. The movie looks like the desi version of the hit Hollywood franchise Step Up, and stars winners of dance reality show Dance India Dance -- Salman Khan, Dharmesh, Prince, Mayuresh and Vrushali. Prabhu Deva will play a prominent cameo in the film, and revive his fantastic dance number Muqabala from the 1994 film Humse Hai Muqabala, which had made him a national rage. Interestingly, even before the film's release, Remo has announced a sequel. ABCD is set to release on February 8. After directing Farhan Akhtar in the musical Rock On! four years ago, director Abhishek Kapoor returns to the marquee with Kai Po Che. Based on Chetan Bhagat's third novel 3 Mistakes of My Life, Kai Po Che is a story of three friends in the city of Ahmedabad, Gujarat, and how they discover cricket, religion and business in their respective fields. The 2001 Gujarat earthquake and the 2002 Gujarat riots are a prominent part of the film, which has been shot in various parts of the state. The film stars television actor Sushant Singh Rajput, Amit Sadh and Rajkumar Yadav. Amrita Puri, who was last seen in Blood Money, has also been case. 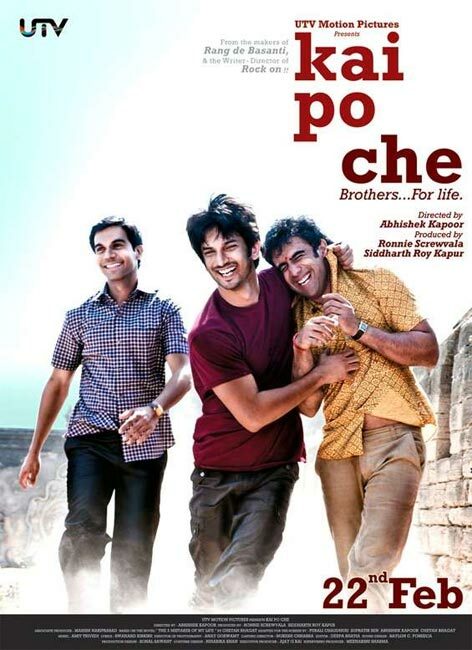 Kai Po Che is up for release on February 22. Imagine Ajay Devgn dancing on Jeetendra's song Taaki O Taaki! Well, now you will get to see it in Sajid Khan's remake of the Jeetendra-Sridevi 1983 hit, Himmatwala. Co-produced by Vashu Bhagnani and UTV Films, Ajay is paired opposite south actress Tamannaah. The shooting of the film is in progress and the famous songs -- Taaki O Taaki and Nainon Mein Sapna -- from the original have be retained in the new film. It is rumoured that Jeetendra might do a cameo in the film. Himmatwala is set to release on March 29. Ghanchakkar will be Vidya Balan's first release after her wedding to UTV managing director Sidharth Roy Kapur. She will be seen romancing Emraan Hashmi in this comic thriller. Ghanchakkar is going to release on June 21. Director Prakash Jha is coming up with another political thriller, Satyagraha, starring Amitabh Bachchan, Arjun Rampal, Ajay Devgn, Kareena Kapoor and Manoj Bajpayee. Rumour has it that Amitabh's character will be inspired by social activist Anna Hazare. It is also rumoured that Kareena will be playing the role of an international reporter, based on CNN Chief International Correspondent and journalist Christiane Amanpour. 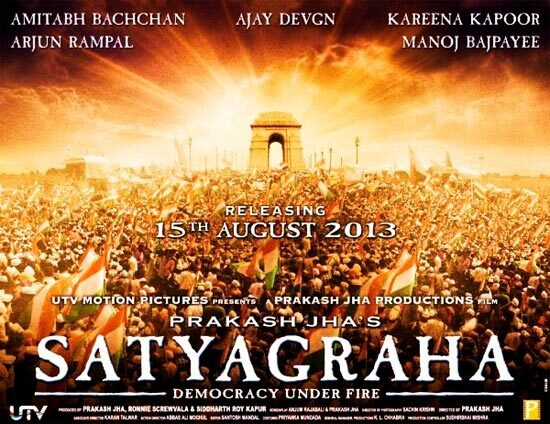 Satyagraha is slated to release on Independence Day. The king of comedy Rohit Shetty teams up with the king of romance Shah Rukh Khan in Chennai Express. The film also stars Deepika Padukone. This is the first time that Shetty will direct a film that does not star his favourite actor Ajay Devgn, who has featured in all his films till date. Chennai Express narrates the story of a man and his journey from Mumbai to Rameshwaram. The shooting is currently in progress and is expected to wrap up by April. The last time SRK played a Tamilian, the film (Ra.One) did not go down well with the audiences. Let's see how fans will react to this one. 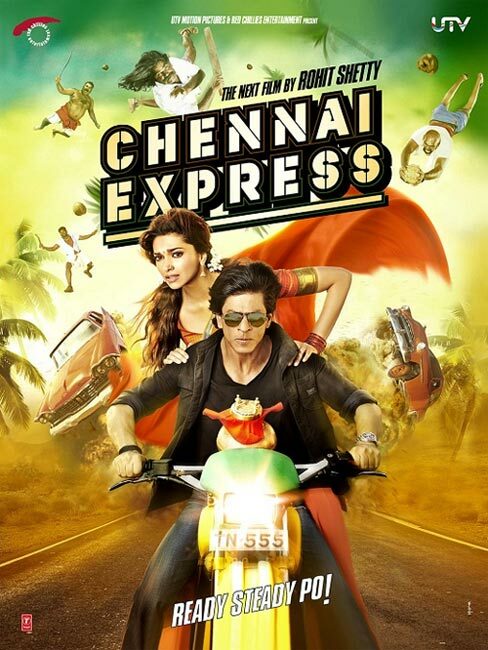 Chennai Express is tentatively scheduled for a Diwali release.